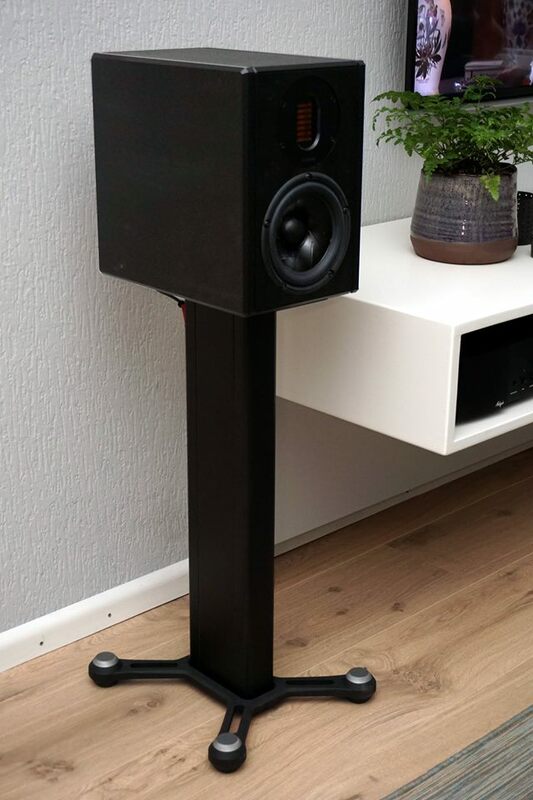 The model one is probably the most transparent conventional loudspeaker available today. Over the past of two years intense research has been dedicated to exploring new methodologies and materials which are now incorporated in the Model One. The Model One is a premium loudspeaker offering absolute performance within the clean lines of its compact cabinet. The shape have been designed to deliver a detailed and powerful audio reproduction that is usually associated with larger loudspeakers. The technical criteria were quite simple . Extreme stiffness by using 15 mm bituminized aluminum and internal damping of the cabinet to avoid any kind of ringing. As a result this approach should avoid time smearing in case of fast and power full transients. Placement in a normal living environment concerned one of the requirements so that performance would be determined to a lesser extent by, for example, its placement close to wall or corner. Furthermore, the design had to have a decent efficiency, but at the same time it should act as a simple load for a wide range of amplifiers from delicate tube designs to powerful solid-state powerhouses.